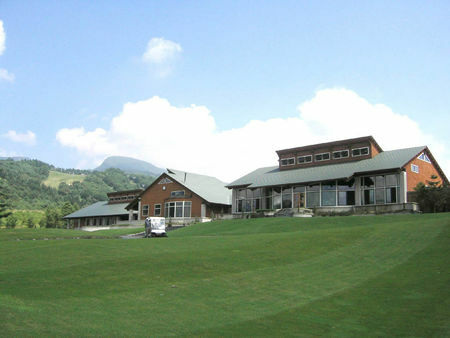 The course at Bonari Kogen Golf Club occupies a scenic site amid rolling woodlands, and prolific designer Ronald Fream made the most of the surroundings and the mountains in the distance to create some of Japan's most memorable holes. Measuring over 6400 meters off the back tees, the course has a length comparable to that of Japan's better courses, though the distance from the men's standard tees is less than 5500 meters. Also as at better Japanese courses, there is careful attention to the ambience at Bonari Kogen, where abundant flowers give the feel of botanical gardens. Generous, contoured greens provide numerous approach options, so the course rewards repeated play. Things begin to get interesting on the par 5 3rd, and the par 3 15th stands out as another particularly challenging hole. The capacious clubhouse has lodgings available, and the amenities include a dip in the hot springs.